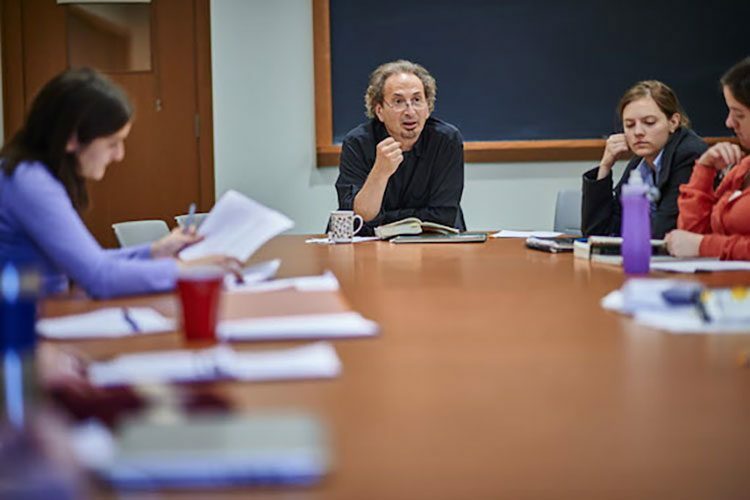 Living Writers — one of Colgate’s most popular courses, both on campus and in the wider Colgate community — featured Pulitzer Prize-winning professor Peter Balakian as part of inauguration week festivities at Colgate. Balakian, the Donald M. and Constance H. Rebar Professor in humanities, professor of English, and director of creative writing at Colgate, won the Pulitzer Prize for Poetry for Ozone Journal, a collection of poems. Here is a replay of his reading and talk. Balakian is also the inaugural poet and will be featured at the inauguration ceremony today, September 30, at 4:30 p.m. The ceremony will be streamed at Colgate.edu and archived at Colgate.edu/inauguration. Read more about Balakian’s Pulitzer victory. Balakian is the fourth Living Writer in the 10-week online experience. People can still join for free and watch videos, listen to podcasts, and relive the Livestream events with the writers who have already appeared. There are deep discussion threads about Balakian and the other authors that involve students, faculty, and the Colgate community.